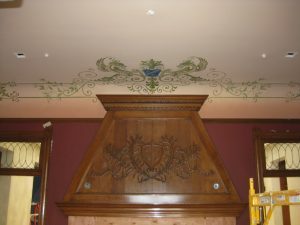 Brand Library in Glendale was built as a private home in 1904. 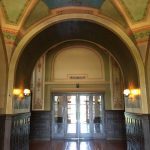 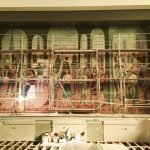 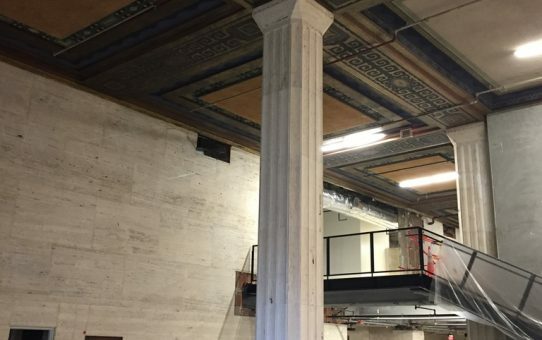 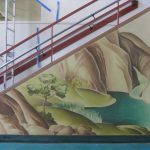 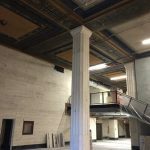 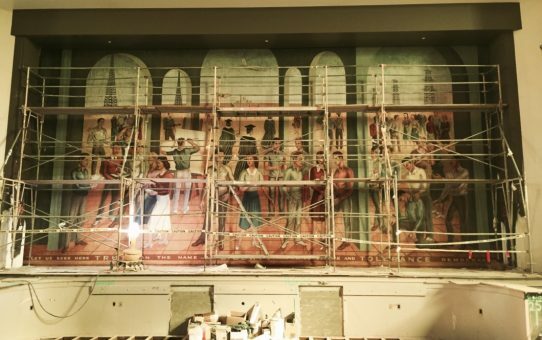 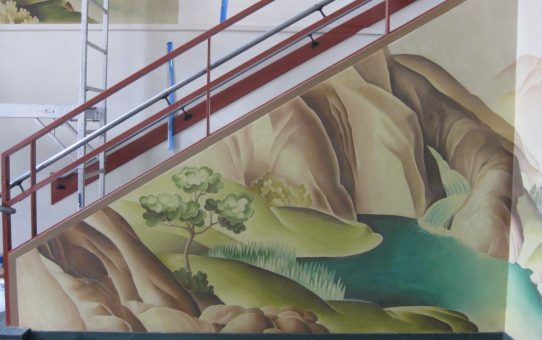 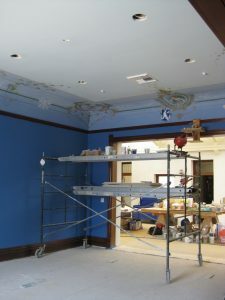 Using photos of the original, the ceiling murals were recreated in four different rooms. 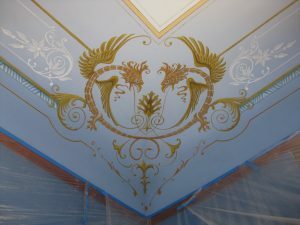 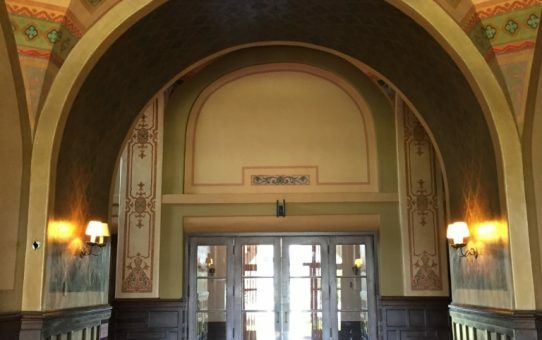 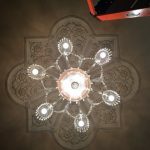 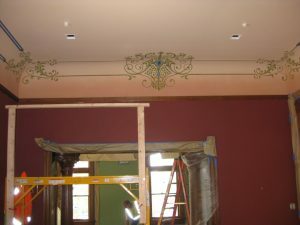 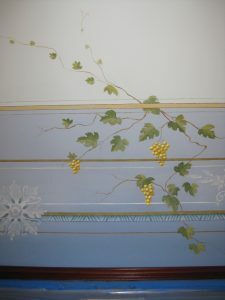 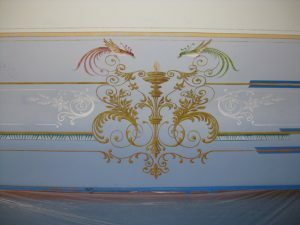 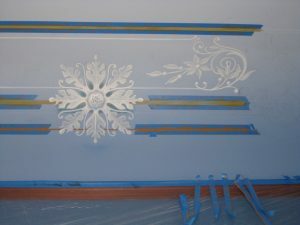 I Painted the filigree and supporting delicate swirls on the curved cove ceilings. 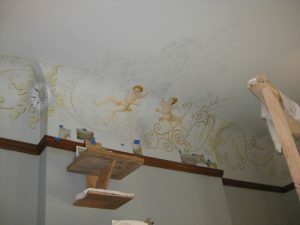 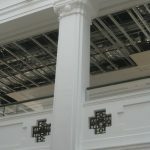 A pounce pattern was made from the tracings of the original and transferred to the ceiling as a guide. 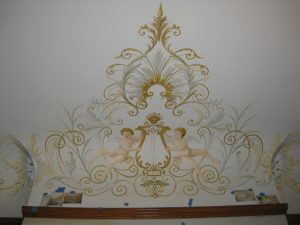 First, the field was sprayed with a color gradation from dark to light from the picture rail upwards. 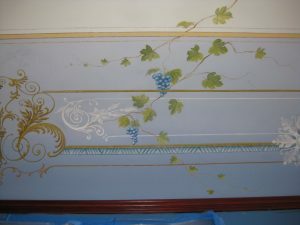 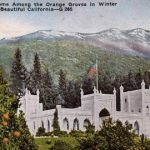 Then, meticulously painting the individual flowers accents and lines in the style from 1904.